Warrior Way is proud to partner with Michigan Defensive Firearms Institute (MDFI). MDFI is a Michigan-based training company that has been providing real-world firearms training to military, law enforcement, and qualified civilians since 2007. MDFI bases all of its training around the “Whole Person Concept” – essentially focusing on the traits that compose a responsible citizen. The goal of MDFI is to establish and build on a solid defensive foundation in the areas of firearms, less lethal tools, medical skills and other associated disciplines. 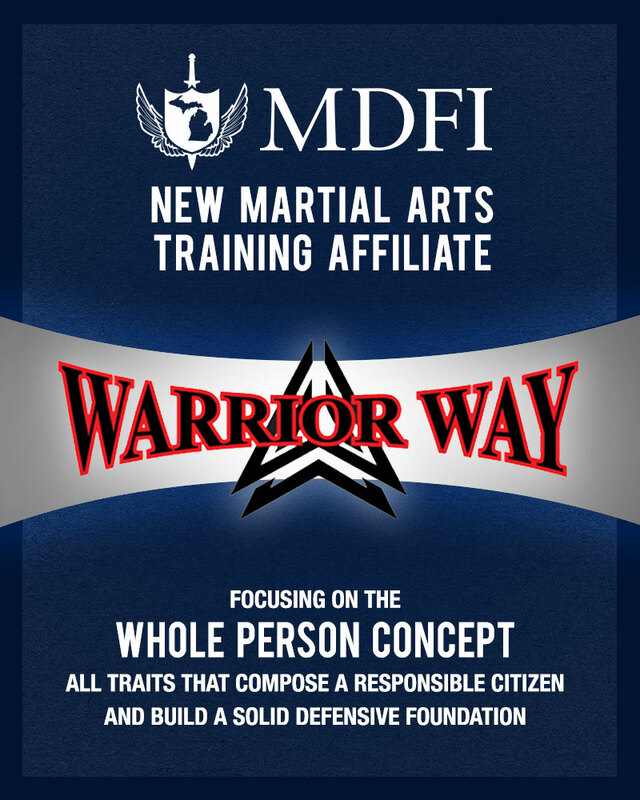 All Warrior Way Members get a discount on all MDFI courses. Please visit trainmdfi.com for more information on MDFI and the courses they offer.